On the April 15 tax deadline, state Democrats denounced President Donald Trump’s new tax law for capping a key deduction for state and local taxes. Senate President Pro Tem Martin Looney of New Haven criticized the law that caps the deduction for state and local taxes, known as SALT, at $10,000 per couple. As such, the capping of the deduction led to an increase in taxes paid by Connecticut residents estimated as much as $2.8 billion, according to the state tax department. State Sen. Julie Kushner, a Danbury Democrat who retired last year from a long career as a union organizer, said that she and her retired husband paid $10,800 more in federal taxes in 2018 than they had in 2017. "It was the SALT deduction,'' Kushner said when asked by reporters to explain the difference. She said she did not know the percentage increase in her federal taxes but released the actual dollar amount. Governors in Northeastern states like Connecticut, New York and New Jersey say the $10,000-per-couple cap on deductions disproportionately affects homeowners in high-tax states. Many Fairfield County homeowners pay more than $10,000 annually in real estate taxes alone. The so-called SALT deduction impacts the richest residents the most, based on statistics from the legislature’s nonpartisan research office. Although many Connecticut taxpayers do not itemize their federal deductions, the average state and local tax deduction overall in 2015 was $19,664, according to the research office. Among those earning more than $1 million per year, the deductions are among the highest in the nation at nearly $330,000 per tax return. Connecticut taxpayers earning between $75,000 and $100,000 per year would pay additional taxes, on average, of only $19 per year under the Trump tax law, the research office said. But those earning more than $1 million per year would pay an additional $118,000 per year, boosting the overall average. Connecticut has joined New York and two other states in a pending lawsuit challenging the federal tax law passed last year by Republicans in Congress and signed into law by Trump. They say that the law disproportionately affects homeowners in high-tax states. Many Fairfield County homeowners pay more than $10,000 in real estate taxes alone. 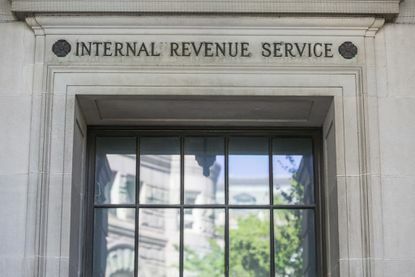 The lawsuit, filed in federal court in New York, names the Internal Revenue Service, the Treasury Department and others as defendants. Then-Gov. Dannel P. Malloy and two other Democratic governors called for the multi-state lawsuit against the federal tax code revisions, saying they are unfair to 12 states due to the new limits on deductions for state income and property taxes.